iPhone allegedly self-combusted after flight (Photo: REX). Regional Express (REX) said in a statement [pdf] that after one of its planes landed in Sydney late last week, a passenger's handset "started emitting a significant amount of dense smoke, accompanied by a red glow". The incident was first reported by the Coffs Coast Advocate newspaper. "In accordance with company standard safety procedures, the flight attendant carried out recovery actions immediately and the red glow was extinguished successfully," the airline said. 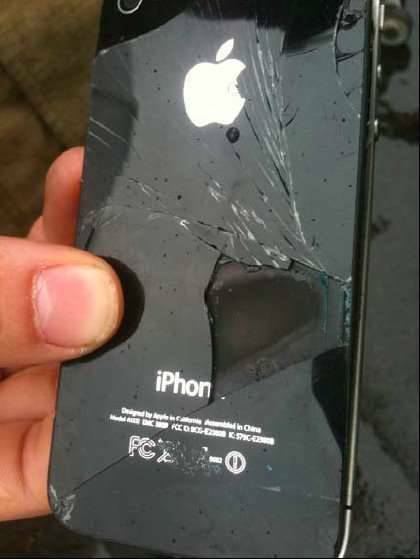 The airline said it had given the handset - which it said "appears to be an Apple iPhone" - to the safety bureau. An Apple Australia spokesman has been contacted for comment on whether the device maker has attempted to establish if the iPhone is genuine. REX also informed the Civil Aviation Safety Authority (CASA) of the incident. A CASA spokesman told iTnews that the investigation would be carried out by the ATSB. "We're just observers," he said.